Why Does My Dog Need Vitamins? 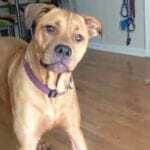 Are Human Vitamins Safe for Dogs? Can Vitamins Make Your Dog Sick? Which Vitamins are Toxic for Dogs? What Vitamins are Safe for Dogs? 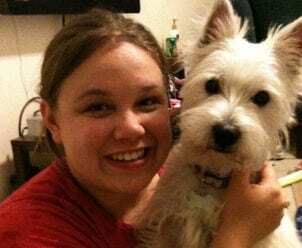 What is the Best Multivitamin for Dogs? No matter what your dog's diet is like, there's a good chance they're not getting the proper amount of vitamins and minerals. Supplementing their diet with a multivitamin will make sure your dog is getting everything they need to live a long, healthy life. The right multivitamin can keep your pup's coat shiny and healthy, increase bone health and even keep their mind sharp. With so many choices on the market, it can be difficult to know which vitamin is best for your dog. We'll take a look at 5 of the best vitamins for dogs to help you narrow down the field. Vitamins play an essential role in your dog's health, from developing and maintaining muscle function to keeping their nervous system running. There are two main categories of vitamins: fat-soluble and water-soluble. Fat-soluble vitamins dissolve in fat and are stored in the body's tissues. 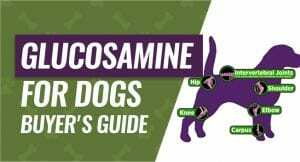 Because the body holds onto them over time, it is possible to overdose on these vitamins (known as hypervitaminosis), so it is important to monitor the amount your dog is getting. There are four fat-soluble vitamins: vitamins A, D, E and K. Collectively, they support healthy vision, bone growth and heart health. Unlike fat-soluble vitamins, water-soluble vitamins are disposed of regularly by the body, so there is less of a chance of them building up to toxic levels. Vitamins B and C are water-soluble. If your dog is fairly healthy and you provide him with quality food, he might not need another supplement. Most high-quality dog food is packed full with vitamins and minerals. However, some dogs might have special dietary needs that require additional vitamins for them to maintain optimal health. Making your own dog food can be a great way to ensure your dog is getting all of the protein, fat and carbohydrates that he needs without any harmful additives. However, home cooked meals tend to lack a lot of the vitamins and minerals present in commercially available dog food. Certain vitamins and minerals can be destroyed during the cooking process, so even your homemade beef and brown rice might not be providing all of the nutrition your dog needs. In this case, supplementing your pup's diet with a multivitamin can provide precious nutrients that they might be missing otherwise. 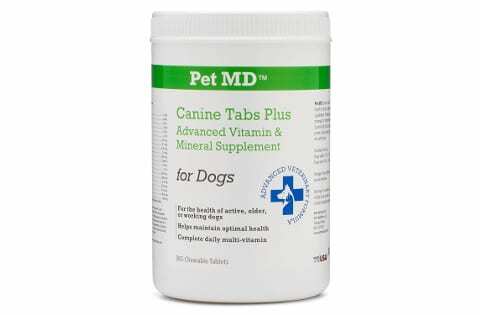 Some dogs have a medical condition that results in them being deficient in the vitamins and minerals they need. Common deficiencies include magnesium deficiencies, vitamin A deficiency, and vitamin B deficiencies. If your dog has a deficiency, ask your veterinarian about the possibility of supplementing their diet with a multivitamin. The right multivitamin will help you make sure their vitamin levels stay healthy. As dogs age, their joints and cartilage are prone to wear and tear. When their joints become painful, it can be helpful to supplement their diet with vitamins and minerals that promote joint and bone health. Vitamins A and D in particular affect the health of your dog's bones. Vitamins C and E are helpful for reducing inflammation, which will ease discomfort. Reminder: When making significant changes to your dog's diet, always consult your veterinarian. Dogs with certain medical conditions should have their diets consistently monitored by a trained professional. The short answer is that it depends on the vitamins. Certain human-grade vitamins are safe to give to your dog while others are not. However, it is much cheaper to buy dog or pet-specific vitamins. If you do want to give your dog human-grade vitamins, stick to vitamins that are water soluble. Another vitamin you could give to your dog is an Omega-3 fatty acid vitamin like a fish oil capsule. You do want to avoid giving your dog human vitamins that are considered to be fat soluble. These vitamins will end up stored in your dog's cells, and this can lead to a build up or overload of the vitamin. This can make your dog sick. Examples of fat soluble vitamins include vitamins A, D, E, and K. You also want to keep in mind that most dog vitamins only meant to fill in around 20-percent of your dog's vitamin intake while human vitamins are designed to give 100-percent. 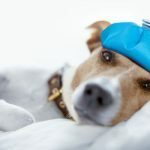 If you overload your dog with unnecessary vitamins and nutrients, yes vitamins do have the potential to make your dog sick and give them vitamin toxicity. This is especially true for high amounts of Vitamin D or A, as well as iron. For the most part, dog's have a balanced diet and get everything they need from their food. This also includes most commercial dry and wet dog food because it's heavily regulated by the FDA to ensure that it has the proper vitamin and nutrient content your dog needs to grow and thrive. The only way dogs typically miss out on vitamins and nutrients is if you feed your dog a completely raw or homemade diet. You can always check with your vet before you start feeding your dog dietary supplements because they can tell you if they're deficient in any vitamins and what they're deficient in. There are a few vitamins that you want to avoid feeding to your dog because they're toxic and can cause a lot of damage. Particularly, you want to keep your dog away from prenatal vitamins because they contain very high amounts of iron. If they eat enough of them, your dog can develop iron toxicity. Keep them away from iron supplements as well because they simply don't need it. Another vitamin to avoid is vitamin D. If your dog eats vitamins with high amounts of vitamin D, it can raise their phosphorous and calcium levels dangerously high. Continuously elevated levels of calcium and phosphorous can lead to organ, kidney, and heart damage or issues. 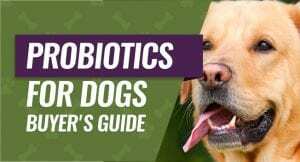 You want to get your dog to the vet within 6 or 12 hours after they ingest it because they quicker they catch it, the better it is for your dog. As we mentioned, dog-specific vitamins are generally safe for your dog to take if your vet recommends that you give it to them or if you feed them a raw or homemade diet. Also, water-soluble vitamins are safe for your dog because only a very small amount actually stays in your dog's body. Additionally, B-complex vitamins, folic acid, Biotin, niacin, vitamin C, and Omega-3 fatty acids like fish oil vitamins are generally safe. 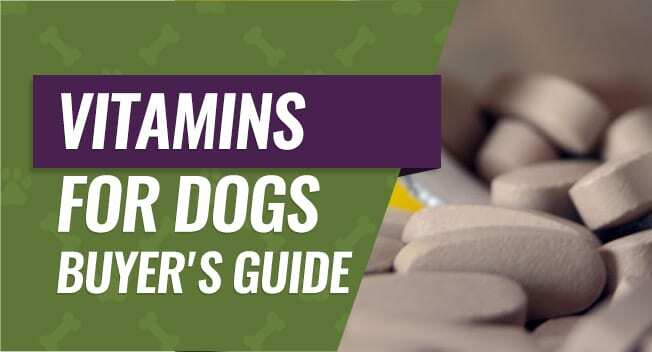 If your dog needs these vitamins and you give them to your dog, you should start to notice that their coat looks shiny, they have healthier skin, and it can even improve their digestive health. Our top pick is this all-natural nutritional supplement from SeaMeal. Its ingredient list includes seaweed, digestive enzymes and flaxseed to promote overall health and wellness in your dog. The vitamin-rich formula supports a healthy immune system in dogs of all ages. Because of its high concentration of omega fatty acids, it's especially useful in dogs with itchy, dry skin or hot spots. In addition to kelp, SeaMeal is formulated with digestive enzymes to help your dog digest his food easily and ensures that he absorbs as much nutrition as possible. Flaxseed provides healthy omega fatty acids to support a shiny, healthy coat. The powder formula makes it easy to feed to even the pickiest of eaters; simply sprinkle it on top of wet or dry food and mix in. Just one scoop per day is needed for optimal results. It is available in a range of sizes, from an 8 ounce container to a 5 pound tub. Users across the board were extremely impressed with the improved quality of their dog's skin, coats and eyes after using SeaMeal consistently. Dogs showed improved energy, appetite and joint health. 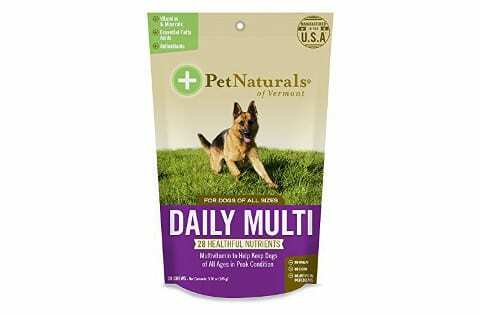 Pet MD's daily multivitamins are specially formulated to promote healthy functions in dogs of all ages. Formulated with balanced amounts of water- and fat-soluble vitamins and minerals, these chewable tabs can help your dog maintain optimal health. Calcium and magnesium help maintain strong, healthy bones and teeth. A wide range of vitamins promotes healthy energy and combats lethargy even in older dogs. Optimum levels of high-quality protein promote muscle development and healthy skin and coat. The balanced levels of various fat- and water-soluble vitamins keeps your dog's immune system strong. These tabs can be given as a chewable treat or crumbled into food for pickier eaters. For the most part, users said that their dogs ate the liver-flavored treats with no problems. One bottle contains 365 tabs, making them an excellent value especially considering the quality of the ingredients. Dogs over 10 pounds can eat 1 tab per day, while dogs under 10 pounds eat 1/2 tab per day. Users were overall impressed with the quality of these tablets, especially in older dogs that lacked energy. 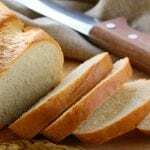 The results and ingredients are comparable to much more expensive brands. These soft chewable tablets from Pet Naturals were one of the most popular among dogs for their flavor. Each flavor-packed soft chew is loaded with 28 nutrients to support your dog's overall health. Formulated by veterinarians, these chews provide a well-balanced mix of vitamins and minerals without any harmful ingredients like corn and wheat. The ingredients list might be somewhat intimidating to the all-natural dog food enthusiast; it contains some preservatives and chemicals to prolong its shelf life. However, users did not note any negative side effects. Out of all of the treats on our list, these were the most-liked by even the pickiest eaters. Most reviewers said that their dogs gobbled them up like treats, and they never had to try to disguise them in their food. Although they are cheaper to buy upfront than many other supplements, the bags are smaller, so the cost can add up over time. One bag contains 30 chews, so they can become somewhat costly especially if you have a dog that requires 2 chews per day. Overall, users were very impressed with the results they saw from these multivitamins, citing improved energy and overall health. They also proved to be effective at treating multiple skin conditions and helping to maintain a healthy weight. For dogs who need an extra nutrient boost and additional calories, Tomlyn's high calorie gel provides an easy way to make sure your pup is getting the nutrition they need. Puppies and adult dogs alike can benefit from the vitamin and nutrient-rich formula. It is available in a puppy formula and a regular adult formula, both of which provide significant benefits for a dog who needs added nutrition. On top of valuable vitamins and minerals, it contains balanced levels of protein, fat and carbohydrates which your dog needs to maintain a healthy body. Cod liver oil provides optimal levels of EPA and DHA, essential fatty acids that promote skin, joint and heart health. Especially as puppies, many small, high-energy dog breeds burn more calories than they consume, which can lead to health issues. Certain breeds like Yorkshire Terriers are prone to hypoglycemia, which can be remedied with a high-calorie gel like this one. Its gel formula is ideal for finicky or picky eaters, as it is easy to mix into existing food. Most users raved that their dogs loved the flavor and acted like it was a treat. Unfortunately its number one ingredient is corn syrup, which may be a turn-off to some dog owners. When used as an occasional supplement as opposed to a daily multivitamin, this shouldn't cause any health problems, but check with your vet if you're unsure. Nutri-Vet's chewable multivitamins are formulated to provide a balanced mix of crude fat and protein with vitamins and minerals to keep your dog in tip-top shape. They are available in four different formulas: adult, puppy, senior and plus (which contains extra calcium). A rich mix of antioxidants, vitamins and minerals supports your dog's immune system. These tablets help maintain a healthy skin and coat, promote metabolism and maintain the digestive system. These liver-flavored tablets were enjoyed by most dogs, but a few extremely picky dogs would not touch them. The tabs can be crushed up and mixed into food, but the pickiest eaters might still eat around them. Although they are marketed as a soft chew, they are truly more of a tablet. Older dogs with trouble chewing are better suited to an easy-to-chew option. It is important to note that one of the ingredients in these tablets is sugar, so they are not suitable for dogs with blood sugar issues like diabetes or hypoglycemia. They are available in 60, 120 or 180 count and are about middle-of-the-road in terms of price. It is recommended to give 1 tab per 20 pounds of body weight, so the amount you feed your dog will vary. Formulated with the highest quality all-natural ingredients, Solid Gold SeaMeal Nutritional Supplement is our top pick for the best vitamins for dogs. Its kelp-based formula stands out from the rest as it provides one of the most complete vitamin profiles on the market today. The easy-to-mix powder formula makes it a great choice for picky eaters; just mix it into wet or dry food. Most users saw noticeable improvements in coat, eye and joint health within just a few weeks of use.